Today's live coverage is now over. Join us tomorrow for Hurts at 14:45! That's it for Friday at Glastonbury! But of course we're back tomorrow, where your headliners will be New Order, M83, James Blake, and of course the amazing Adele. If you think you might get Glastonbury Blues before then, you can head to the Red Button until 2am for more coverage. BBC Four are playing Muse and Underworld until 1am tonight. Lauren Laverne presents Muse until 2am over on BBC Two. 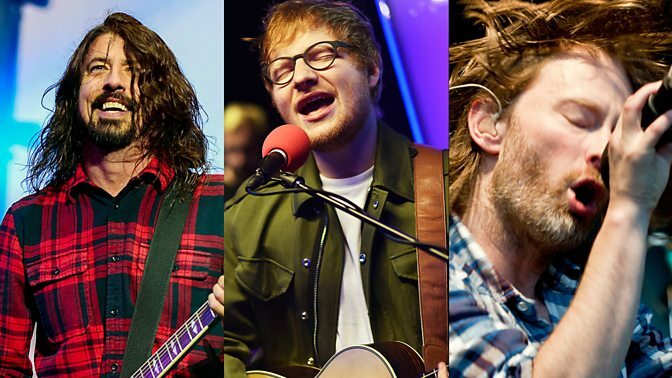 Check out more Glastonbury highlights from Radio 1, 1Xtra, 2 and 6 Music including special performances and behind the scenes performances. Head to iPlayer for FULL sets from the artists as we get them. We'll see you bright and early tomorrow morning! With their last few songs including Hysteria, Stockholm Syndrome, Uprising AND Knights of Cydonia, Friday night's Pyramid Stage climax couldn't be much bigger! What an amazing end to Friday night on the Pyramid Stage! How did Skepta shut down Glastonbury? Grime and Glasto have a bit of a chequered history - remember Wiley begging Emily Eavis to take him off the billin 2013? - but all that was forgotten as Skepta kick-started the 2016 festival with a spectacular Pyramid Stage debut. Or their full set will be available on BBC iPlayer later on tonight. What a great view Hannah has of the stage though! Jealous? Us? Na. Not. At. All. Suzi Perry shows just how difficult it can be to get that perfect teacup-in-the-mouth selfie. Though we think this one is pretty good! For Muse's track list (and full set later on tonight!) head to their artist page. 1. Matt Bellamy has cats named Kim and Kanye. 2. Muse's drummer Dominic Howard's job before playing for the band was packing Spice Girl T-Shirts. 3. Fans presented Muse with a full-sized telescope in a visit to Russia. 5. Matthew Bellamy originally wanted to be a classical pianist - but he changed his mind after seeing Rage Against the Machine. And we're very glad he did! Despite their Flaws, Bastille were such a crowd-pleaser! Check out Bastille's set list and add their songs to your BBC Playlister. 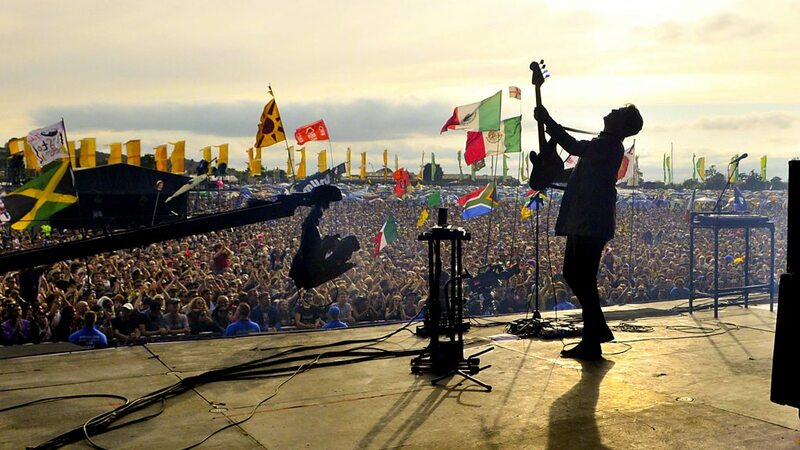 They headed to the BBC Introducing Stage to perform for the Glastonbury crowds. Catch their performance here very soon. Close, but no winning biscuit for you Andy Leach. But we like your alternative version! YES! The wait is over! The boys have brought out Aluna to open their headline set on the Other Stage. And watch Muse play this classic and more like it from Origin of Symmetry NOW! Muse are going down a storm! But of course the greatest seal of approval is when a cat approves of your work. They are notoriously difficult to please! Raving to Underworld at Glastonbury? One thing off the bucket list ticked. BMTH really put on a show today on the Other Stage - and we LOVE these photos from their set! Keep an eye on their artist page for their set list, clips and performance. Explosions in the Sky were something else. Fact. Do yourself a favour and catch up on their epic set. Oi you there!Image caption: Oi you there! It's Muse! Here we go! Head over to the Pyramid Stage now to hear the rockers live! ... headlining the West Holts Stage. Best known for their banger Born Slippy, all we're saying is get your big fish little fish and your cardboard box ready!!! Is it time for Disclosure yet? "Excited" doesn't begin to describe how we're feeling. Can't WAIT to see what Howard and Guy are gonna do tonight! They're closing the Other Stage at 22.30 so be there or be square. The Ukrainian folk quartet played the West Holts Stage earlier on. Their set will be up in full on their artist page later but you can watch them performing Yanky already to keep you going. Hands up who knows they look good?Image caption: Hands up who knows they look good? If you've missed the first half and want to watch the whole thing, the full set will be up on their artist page later.